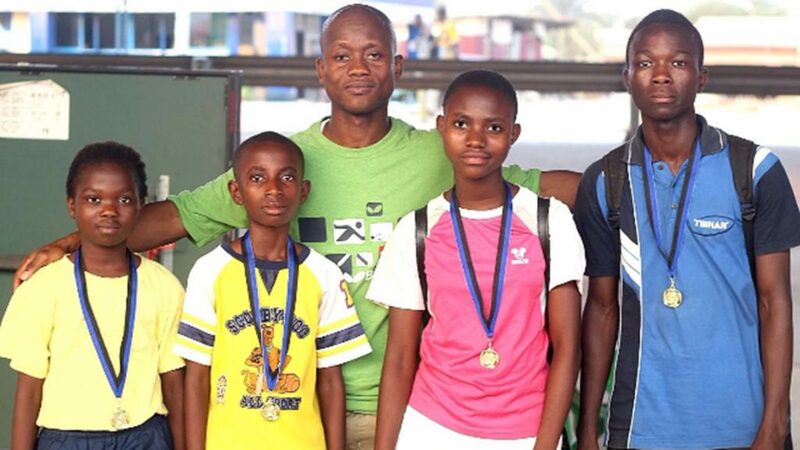 Once a powerhouse of African table tennis, most notably in 1962 and 1968 Emmanuel Quaye won the Men’s Singles title at the African Championships; however, in the last two decades, Ghana has been struggling in continental tournaments. Recently, to some extent, the tide turned; at the 2015 African Games in Congo Brazzaville, the Men’s Team comprising like Emmanuel Commey, Felix Lartey, Derek Abrefa won the bronze medal. It has ignited interest in the sport again. 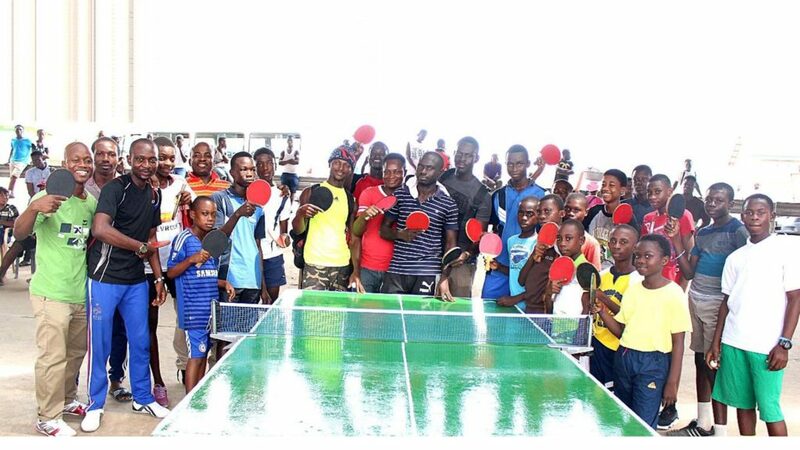 A “Table Tennis Under Bridge Competition” was staged recently in Accra, the capital city, in an effort to unearth new talent. Simply as the name suggests, eight table tennis tables stationed under a fly-over. The majority of the players came from Ofankor but other suburbs of the capital city, notably Ashaiman and Kasoa, were represented. Local dignitaries attended, Samuel Owusu, a statesman was present, as was Fuseini Saddat who represented Moses Anim the local Member of Parliament. Similarly, the country’s leading coaches were present. Michael Appiah, Samuel Ashittey, Coach Yarboi, Richard Golightly and Dora Sarpong all attended as did national team members Emmanuel Commey, David Addy and Adolf Awotwe. In addition a host of special guest attended. Divine Nkrumah, Bimbola Osinbowale, Louis Laryea, Civil Engineer and Kamal Deen Mahdi were present as were Samuel Nartey, Stephen Asamoah and Henry Kumah Adjirickor. Meanwhile, alongside Mawuko Afadzinu, President of the Ghana Table Tennis Association, other members present included Nana Opoku Jackson, James Jkobbyboat Boateng, Ladan Adjin Coffie, Joshua Okine, Lord Kingful and Justice Ninson. At the end of the one-day competition, talented players were unearthed. In the under 12 category, Isaac Arhin, Darlington Hartford, Rooney Somuah, Donald Somuah and Emmanuella Yaa Kyere shone. In the 15 category it was Raymond Ankrah, Raphael Abu, Joshua Nunoo, Seth Gyan and Sandra Arhin. A successful tournament, now a detailed coaching itinerary is planned with leading players and national coaches being the mentors. Finance is an issue; nevertheless a National Under 12 and Under 15 League in addition to Junior High School events and Table Tennis Clinics are planned.